(UPDATED INFO ADDED) MINI-UPDATE: Wow, never had so many flight cancellations and delays going to and from the same trip. We made it home just now after one cancellation and two delays. The last plane home from San Francisco ended up having a significant security scare. People received Airdrop connection requests (Including my daughter) on their apple devices. The ones that allowed the connection ended up seeing an image of a plane crashing in flames with a caption "I hate everybody!" There was an additional bomb threat on the same plane so United Corporate Security and the SF Police arrived and questioned everybody with the first name James (From the iDrop account of the offender), which included me. The plane finally took off 3 hours late. We did have a wonderful trip. With all of the recently deaths in the family as well as other heavy experiences which I have been reporting in joint articles with David Wilcock and on the show he and I cohost together "Cosmic Disclosure." I am as exhausted as I have ever been and now I fly out in a few days for another work related trip. I hope to have a good two weeks to recover from the trips, catch up on some work as well as work on a few projects that we scheduled for April. At the end of April we will be flying out to present at the New Living Expo in San Mateo, CA. 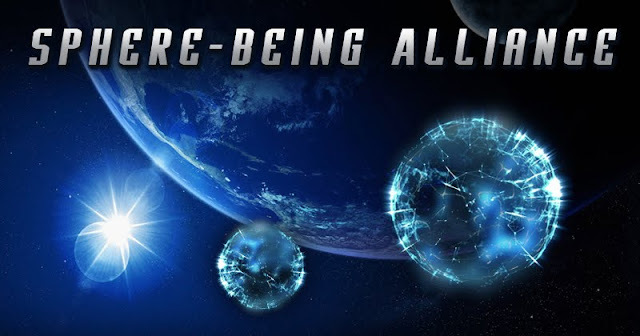 I look forward to meeting many of you there and help clear up some confusion on some of the recent info as well as give further details about the clarifications on this cosmic process from my conversations with the Anshar Elder "Ka Elyl." Not only was I given a more detailed understanding of the Sol Systems history as well as the History of the Anshar (Our future?) and how they transitioned Densities. The information from these conversations expanded my understanding of the cosmic ascension process as well as my consciousness on what 4th Density life and our evolution through its stages will be like if we follow the current timeline. The Anshar shared their history which is our probable future. I am also being pushed more and more to help people come up with a roadmap to do the Karmic work needed to stop the wheel of Karma as well is to assist others in TRULY UNDERSTANDING the nature of "Oneness." "We Are One" has become a new age platitude to many and the majority of Law of One students have not fully comprehended the "Oneness" concept. The Anshar say this is because this information was given to us before our group consciousness had matured enough to fully understand it. This was done intentionally to allow us to use the information to catalyze the needed growth. We are now at the point of being fully able to understand some of these concepts from a 4D perspective. We are currently a "Transitional" species that is somewhere between 3rd and 4th Density that is rapidly shifting fully to a 4D Consciousness. This is a very exciting time! It was explained that once we fully understand this concept, a rapid consciousness expansion would occur within our collective and that is when we begin to connect with one another on a higher level allowing us to become more telepathic and develop other gifts that have seemed so out of reach. I am pretty excited about this new domain within this overall mission. We will be developing out a few different ideas on how to begin to work on Karma via releasing trauma and to focus on inner development. The next few years are going to be a time of revelation. Many of the revelations with be of a very personal nature which will lead to growth. Much of our concepts about ourselves and the nature of our reality could drastically change as more and more of the true nature of our reality is revealed to us. I am also slated for a number of briefings to catch me up on the Shadow Civil War that is going on between the Alliance and the Deep State/Cabal. There are a LOT of current operations going on against the Cabal and there are plenty of counter operations going on against the Alliance. This is indeed a war that is not over. The Earth Alliance and MIC SSP are executing a slow and methodical plan that will drag out longer than any of us would desire. We are going to have to stop complaining and get up and start being active to demand full disclosure. Time to utilize our talents and skills toward that common goal and put some skin in the game. If people are sitting and waiting for disclosure to be gifted them by the Elite, they are missing the point. Mass Arrests have never been possible and still are not. Not quite yet... but we are close. That is why you see the panic in the Cabal. The Deep State would have had to arrest itself as it controlled every agency that had authority over high crimes and treason. These Deep State Operatives are dug in deep and have been difficult to remove. Most will begin to fall like dominoes once the bulk of the crimes committed have been released (released in a slow way to condition the masses for some shocking information). Lots more to come in the coming weeks on some new Intel as well as the release of more info on the LOC Tour I was taken on. More to come once I have a chance to catch my breath.